The idea to establish the St. Joseph´s Catholic Hospital in Liberia was conceived in 1962 during the visit to Liberia by the Provincial Father Francisco Carrasco from the Order of Saint John of God in Spain, as guest of Bishop Francis Carroll of the Catholic Church in Liberia. 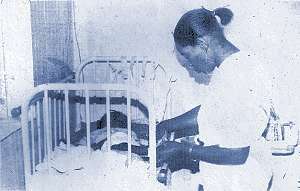 Previously, in 1956, President William V. S. Tubman had requested from Pope Pius XII that the Catholic Church established a Hospital and Medical school in the country. These two great missionaries and religious leaders concluded their meeting with plans to build and staff a hospital in Liberia. Then, Bishop Carroll informed President William V. S. Tubman about the plans proposed by the Provincial, and ensured the Government´s support in this project. The Province of Castilla of the Order in Spain accepted the challenge and sent the first Brothers to Monrovia on August 23, 1963. 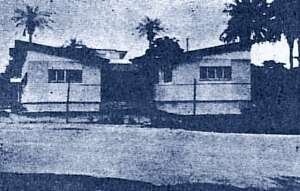 They started the St. Joseph´s Catholic Hospital in a small building located in Tubman Boulevard in Sinkor, where the Stryker Funeral Parlour is nowadays. This building was previously used by the Vianini Construction Company as its clinic. 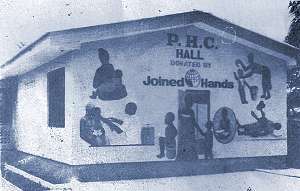 This was a temporary place for the opening of the Hospital until Mrs. M. Eva McGill Hilton, a great humanitarian Liberian, generously donated a suitable parcel of land of 33 1/2 acres, where the present Hospital was built up and dedicated in September 1, 1967, by President Tubman and Bishop Carroll. The foundation stone of the present Hospital was laid on May 1, 1965. The building was to cost two million USD and constructed within 12 months. On December 8, 1966, feast of the Immaculate Conception of Mary, the new hospital was blessed and the patients were transferred from the Vianini Clinic to the Catholic Hospital. 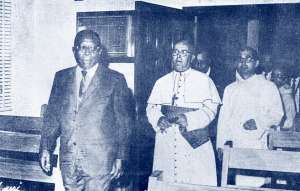 On January 24, 1967, President Tubman accompanied by Ministers of Government, Diplomats, Superiors of the Order and local Church authorities officially inaugurated the Hospital. Three months later, on April 21, 1967, the first Sisters of the Immaculate Conception arrived in Monrovia to work in the St. Joseph´s Catholic Hospital. From the very beginning, one of the aims of the Order was to employ Liberians and help the people from this country to be trained as doctors, nurses and health workers. We are further honoured and pleased to have included in our hospital staff the first permanent full-time Medical Doctor, Dr. Samuel Bowman, a highly respected Gynaecologist/Obstetrician, or Mrs. Rose E. Tweh, the first Liberian Nursing Director. With funds obtained in charity collections in Madrid by the Order, a plot and a house is bought in New Kru Town. The budget for the Health Center is $15,000. 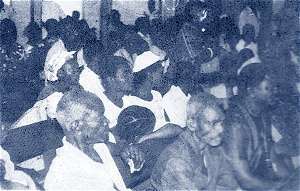 Participants in a demostration assault shops, looted and kill 100 people. Many injured people are taken to our Hospital. 25th Anniversary of the Hospital. At 6 p.m. the Hospital Director opens the center, and Mr. Leonard T. Deshield, HR Chief reads a brief historic text. On behalf of the President, the Protocol Chief Officer reads an affidavit in which the title of Grand Commander Of The Liberian Humane Order Of African Redemption is given to the Order of Saint John of God, represented by Brother Justino Izquierdo. That day a conmemorative stamp was released by the Post Service, with the sentence “25 Years of Health” and values of $1, $0.35 and $0.10. The outbuilding of New Kru Town Healt Center is opened. It was funded by Spanish ONG Manos Unidas. War breaks out. Rebel troops enter through Nimba and military crackdown. War arrives at Monrovia. The entire country is controlled by Charles Taylor´s troops with exception of Monrovia, where there is a fiery resistance. The Brothers are forced to leave Monrovia. Official re-opening of the Hospital. Acting President Amos Sowya assists to a humble event without any celebration. 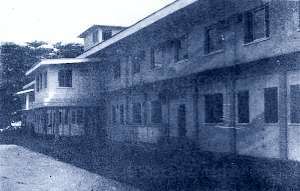 Apart from the peak of the fighting from August 11st, 1990 to May 7th, 1991, when the hospital was temporarily closed and suffered great destruction and looting, the Saint Joseph´s Catholic Hospital was the only functioning hospital in Monrovia during the war. Five American nuns and four Liberian novices are shooted to death by rebels. Three of the Americans´ corpses stayed at the morgue of Saint Joseph´s Catholic Hospital for one month until the other two were found. Dr. Lily Sanvee replaces Dr. 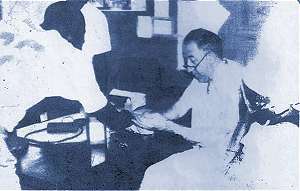 Bowman as Medical Director. Chaos in Monrovia. Government soliders tray to arrest General Johnson. The Hospital becomes a refuge for missionaries and priests until ECOMOG forces evacuate them. The General Vicar of the Archdiocese shows the Brothers and Sisters the most deep gratitude from the Archbishop, priests and religious for the service of hospitality and humanity they have been providing during the war. “Their doors were always open to everyone in the most tough moments, when the refugees didn´t have a place to go”. The battles were ended by the Abuja Accord in Nigeria, agreeing to disarmament and demobilization by 1997 and elections in July of that year. The Hospital is recognized as the best hospital of year 1998. Liberian dissidents invaded the country from Guinea, and the Second Civil war breaks out. Between July 18 and August 14, 2003, Monrovia suffered a major military confrontation between the Armed Forces of Liberia and rebels. The shelling of the city resulted in the deaths of some 1,000 civilians. Thousands of people were displaced from their homes as a result of the conflict. By mid-August, after a two-month siege, Liberian president went into exile and peacekeepers arrived. Brother José Sebastian is sick and very feeble and is evacuated to Spain. He died in less than a month in his 67 years. The Government of the Republic of Liberia announced the death with profound regret and mourning. The Order helds the African Regional Conference in Lome, Togo, where it´s taken the decision of Liberia, SIerra Leona and Zambia to be under the management and support of “mother” Provinces for 5 years. The Spanish Province of Castille gets the responsability of running the Saint Joseph´s Catholic Hospital. Representatives of the Castillan and African Provinces arrived at Monrovia and meet with the Community. For the first time, Hospital Direction will be put in a lay´s hands. Dr. Lily Sanvee is appointed the first Liberian Hospital Director. The works on renovation of the Hospital start. After 35 years in Monrovia, Brother Justino goes back to Spain. Maria Teresa Fernández de la Vega, Vice-president of Spain, visits the Hospital and the New Kru Town Health Center. Renovation works on the hospital are finished, 5 million Euros worth, with funds from Castillan Province and Spanish NGOs. 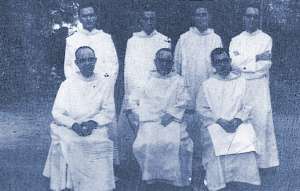 The first Community of Brothers of Saint John of God, who opened the Hospital in 1963. The former location of the Saint Joseph´s Catholic Hospital. 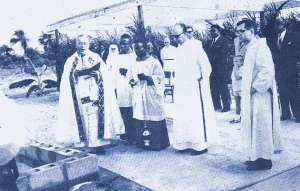 The ground breaking ceremony of the Saint Joseph´s Catholic Hospital in 1963. 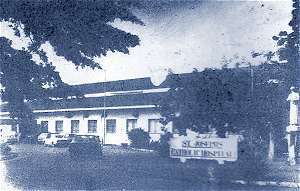 The Saint Joseph Catholic Hospital in Monrovia, Liberia, in 1967. President Tubman and Archbishop Francis Carroll, in the opening and dedication of the Hospital in 1967. 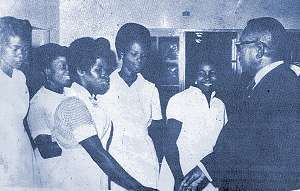 Nurses and President Tubman at the opening in 1967. 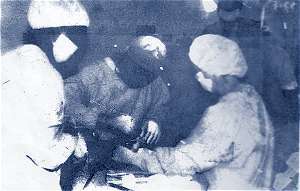 Surgeons in the operating room. Patients waiting in the Out Patient Department. Nurse in the Pediatric Ward.